The US National Junior Congress was held at Basis Independent Silicon Valley School, San Jose, CA from Mar 10th – Mar 11th. 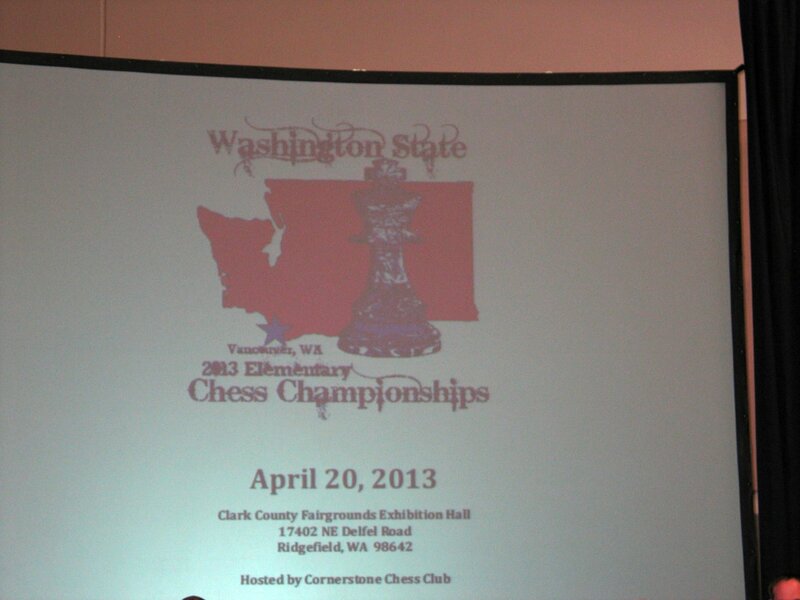 WA kids participated in U12, U10 and U8 sections representing the Seattle Chess Club. 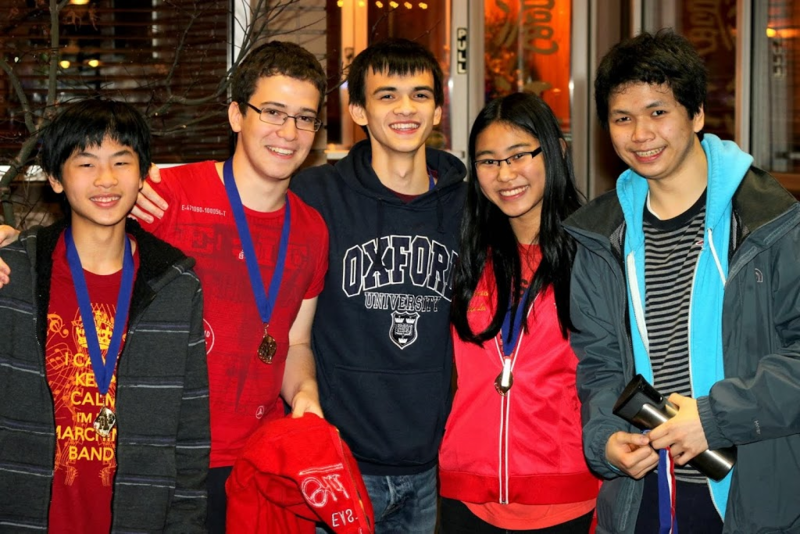 In a tightly contested tournament, all the players who were part of Seattle Chess Club team performed amazingly well with quite a bit of long games. 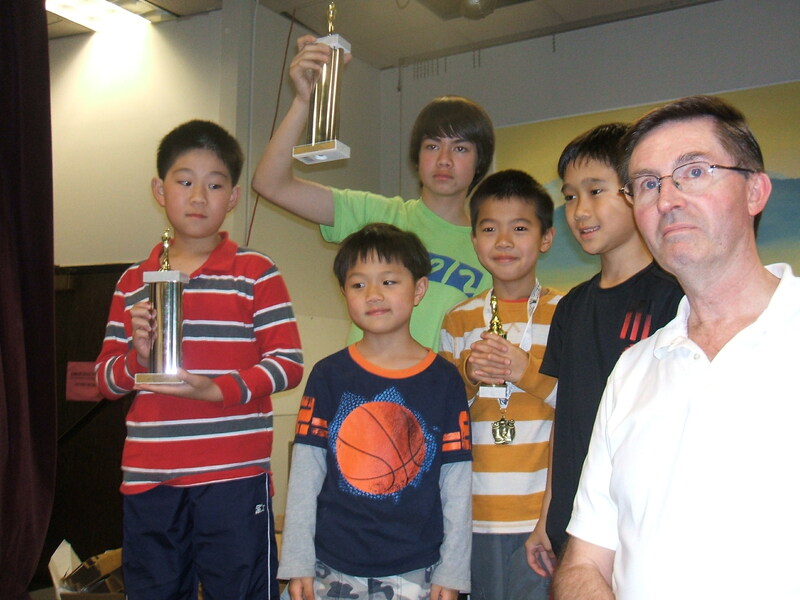 Seattle Chess Club team was declared the clear winner in the U12 section convincingly with 11.5 points. A small section of games can be viewed here. Daniel Shubin won the U12 section with a score of (4.5/5) with 4 wins and 1 draw and was declared a clear National Champion for U12 Section. Congratulations Daniel! Also, contributing to the team’s score in the U12 section were Advaith Vijayakumar (4.0/5) tied for second place and Anirudh Rajesh (3.0/5). In the U10 section, Brandon Jiang scored (4.0/5) and tied for 2rd place. Sayali Gijare finished the tournament with (2.0/5) and won some good games. In the U8 section Mobius Williamson scored (3.0/5). This was his first national tournament and he played extremely well. It was a great effort from the players of WA. The team trophy will be located at the Seattle Chess Club. Newport High School chess team won Washington High School State Team Championship, squeezing ahead by mere 0.5 point. Playing for the winning Newport team, Ethan Bashkansky got a special medal for winning all 5 out of 5 games. Also congratulations to the previous 4 years champion Lakeside High School in second place, and Interlake High School in third. The event was held Feb 28-Mar 1 at Issaquah High School. CLICK HERE for the crosstable. Thanks to Guy Bashansky for much of the info for this post. CLICK HERE for Barry Hansen’s photos taken at the event. 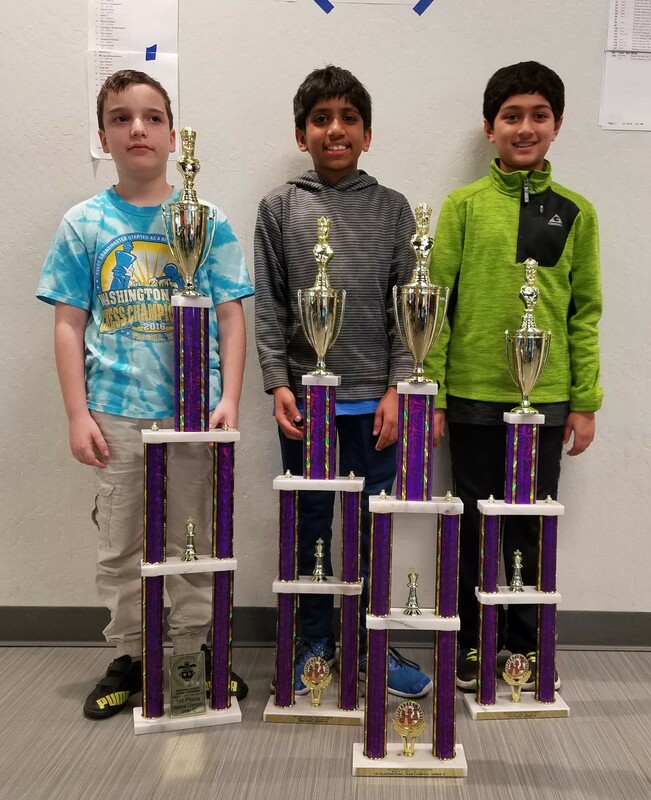 The K-Grade3 section had 9 players and was a three way tie for 1st at 4-1 between Alexander Strigul of German American School in Portland, Tyler Griffith of LaCenter Elementary and Georgly Gidishvili of Orchards Elementary in Vancouver. A clear winner at 4.5-.5 in the 27 player Grade 4-6 section was Levi Harms of Orchards Elementary in Vancouver. John Palm was the tournament director for this event held March 1, 2014. On Feb 15, 2014, a 5 section scholastic event was held at Olympic View Elementary School, Seattle. David Hendricks was the tournament Director. 17 players in the K-1 Under 800 rated section were topped by the 5-0 score of Palash Singhal of Creekside Elementary in Issaquah. 18 players in the K-3 Open section were topped by Rockwell Elementary of Redmond student Daniel Shubin with 5-0. 22 players in the 2-3 Under 800 rated sections was also won by a 5-0 score by Asa Whitehead of Leschi Elementary of Seattle. Two students in the 4-6 under 900 rated section scored 4.5-.5, Ezra Ford of Leschi Elementary and Tate Fuller of Lakeside Middle School of Seattle. Bear Creek School of Redmond student Asher Thakur scored 4.5 to top the 19 player 4-7 Open section. CLICK HERE for the Chess Ratings Northwest crosstables for the event. The two Open Sections were USCF rated CLICK HERE for those crosstables. 16 players got their first USCF ratings in this event. Michael Wang of Interlake High School in Bellevue and Samir Sen of Skyview High School in Vancouver, WA. Your reporter understands there will be a play off later this year for the spot in the Denker High School event at the U.S. Open in Florida. 77 players in three sections took part in the event held Jan 31-Feb 1. There were 22 in the top section. The Premier section of 19 players ended with a 5-0 score by Max Dixon of Roosevelt High School in Seattle. There were 36 players in the Reserve Section, which also had a 5-0 perfect score by Jim Kahle of Ferndale High School. CLICK HERE for the Chess Ratings Northwest crosstable. CLICK HERE for USCF crosstable. The Wash. High School Individual Championship was held on Jan. 31 and Feb. 1. There were 77 kids entered in three sections. The winners were: Championship Section: 1st-3rd James Colasurdo, Michael Wang and Samir Sen 4-1 each. Premier Section: 1st Max Dixon 5.0, 2nd Nathaniel Osborn, 3rd Corey Wukelic 3.5. Reserve Section: 1st Jim Kahle 5.0, 2nd-6th Ryan Senanayake, Alex Dodge, Molly-Rose Clarfeld, Pierre Albi and Ben Bladow 4.0 each. Prizes were trophies and medals. TD was David Ellinger. Winners with TD David Hendricks. Photo credit: Gary Dorfner. 5-0 scores won both sections of the Washington Open Scholastic held May 25, 2013 at North Seattle Community College as part of the annual Washington Open. The 20 player 4-6 section was won by Aaron Probst of Richfield WA and the 32 player K-3 section by Eamon Thakur of Sammamish WA. David Hendricks handled the TD tasks. CLICK HERE for the USCF Crosstables. I am passing along a link to a blog done by the father of one of girls who attended the event. Photos by Russell Miller from both days of the event, Friday and Saturday. CLICK for another BLOG about this event. 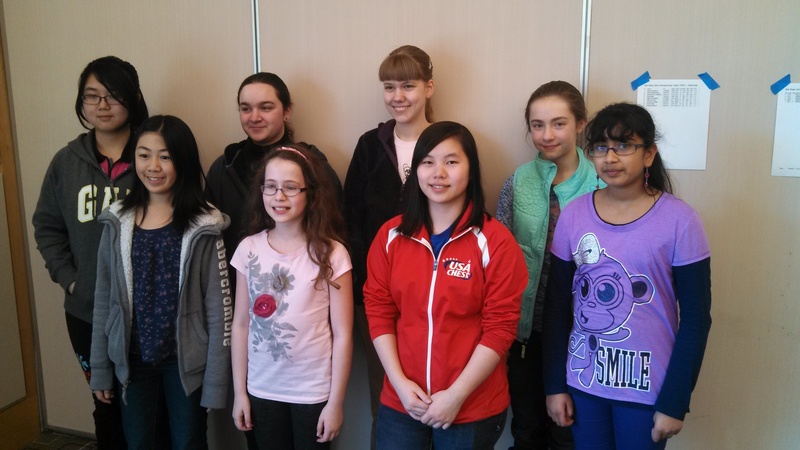 Back row left to right: Wanchen Zao, Priya Kudva, Sarah May, Audrey Whitmer. Front row left to right: Cheyenne Zhang, Naomi Bashkansky, Becca Lampman, Sujatha Devi Chalasani. Missing from picture: Olga Cherepakhin. Report per TD: David Hendricks, WA State Scholastic Director. Congratulations to Becca Lampman for winning the WA State Girls Championship for the 2nd year in a row. Becca is planning to spend her $500 toward the World Open July 3-7 in Washington DC. “Prairie High School National Honor Society is hosting a Wizards’ Chess tournament with Harry-Potter-themed activities and a costume contest from 11 a.m. to 4 p.m. March 23 at the school, 11500 N.E. 117th Ave. Cost is $5 or five cans of food to be a chess piece and $4 or four cans of food to be a player.